While the general public "will have it soon," mobile YouTube streaming is currently available only to people with over 10,000 subscribers, the company said. Though it didn't explain why, this is presumably to manage bandwidth and/or iron out any final issues. Streaming is accessible by launching the app and tapping the capture button, which will present the option to record or go live. Like regular videos, streams can be searched for, and may pop up in recommendations and playlists. One difference is the presence of live comments, which will appear on top of videos much like Twitter's Periscope. To allow streamers to generate more cash, YouTube is also launching "Super Chat," which will let people pay to have a comment highlighted in colors, as well as pinned to the top of a chat window for up to five hours, determined by how much someone is willing to pay and how long the stream lasts. Because of the potential for abuse, paid comments are being moderated like regular chat messages. 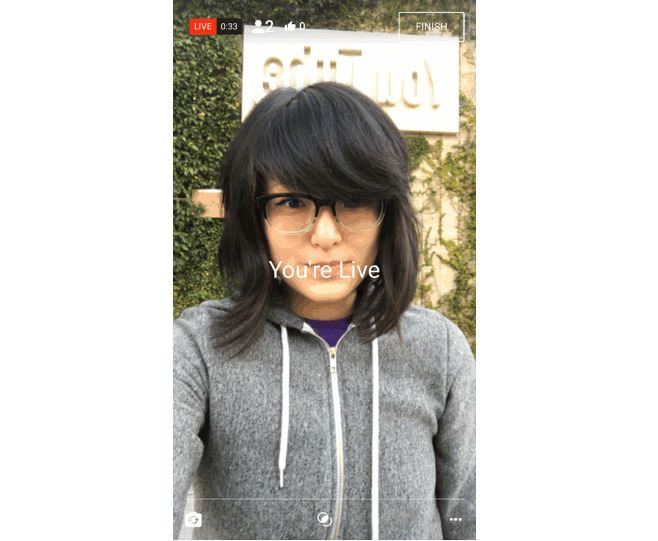 YouTube first began testing live streaming with a handful of producers in June 2016. The company has since made various adjustments, for instance improving streaming quality and slowing down live chat. Early streamers potentially faced as many as 2,000 messages per second.